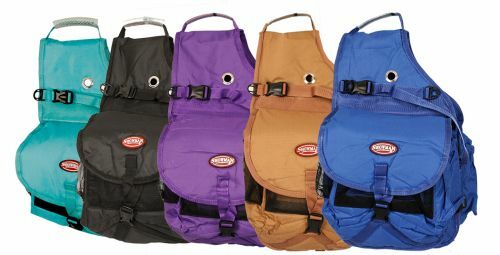 Showman ® Nylon Deluxe Multi Pocket Saddle Bag. Made of nylon material. Ideal for long or short trail riding. Insulated nylon bag with multiple pockets and two water bottle pockets. Water bottles not included.